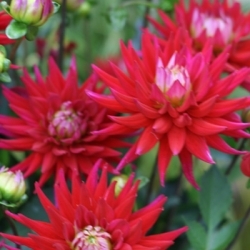 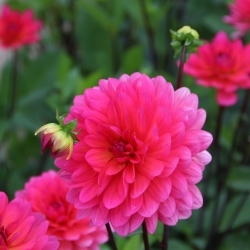 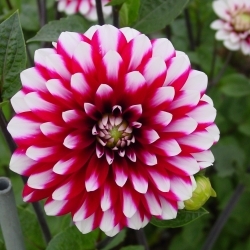 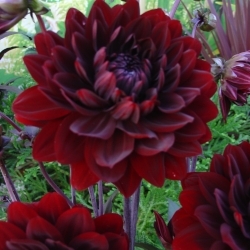 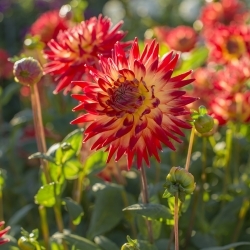 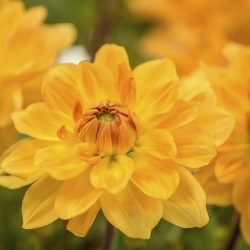 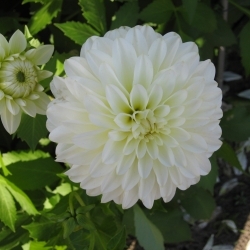 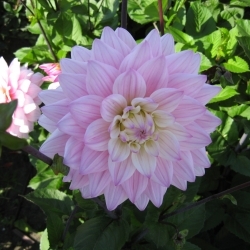 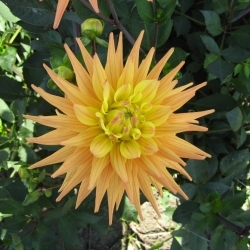 The Karma series, is a collection of dalhias that has been bred with care and selected for properties that characterize a good cutting Dahlia. 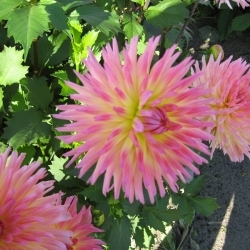 For a long time, dahlias have been popular as a cut flower because of the beautiful shape and especially because of the large variety of beautiful bright colours. 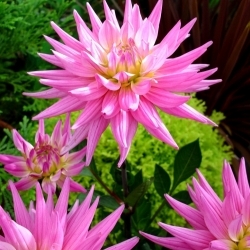 The weakest point of the dahlia as cut flower is its limited vase life. 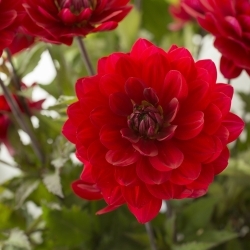 The varieties of the Karma series have been selected on the following properties: floriferousness, flower shape and colour, and their long, straight and strong stems with little or no side branches. 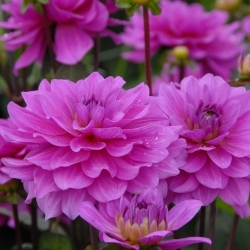 The Karma series can be cut at a fairly immature stage and have a vase life ranging from 7 to 12 days.